LOVE this! I'm also jealous about your bag! is that the large or the small tote? I've been eying the orange one FOREVER! adorable outfit ! 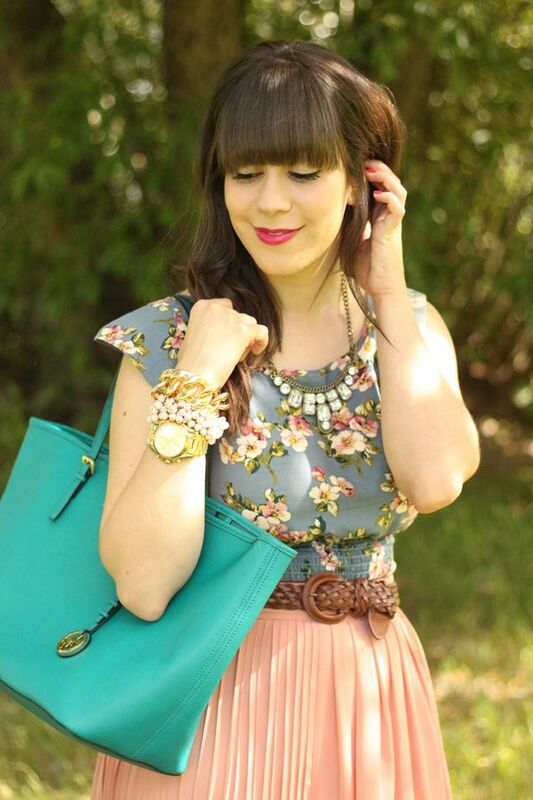 I especially love the blouse and the bag ! I'm in LOVE with ur bag.. Pure love!!!! Cute outfit love! 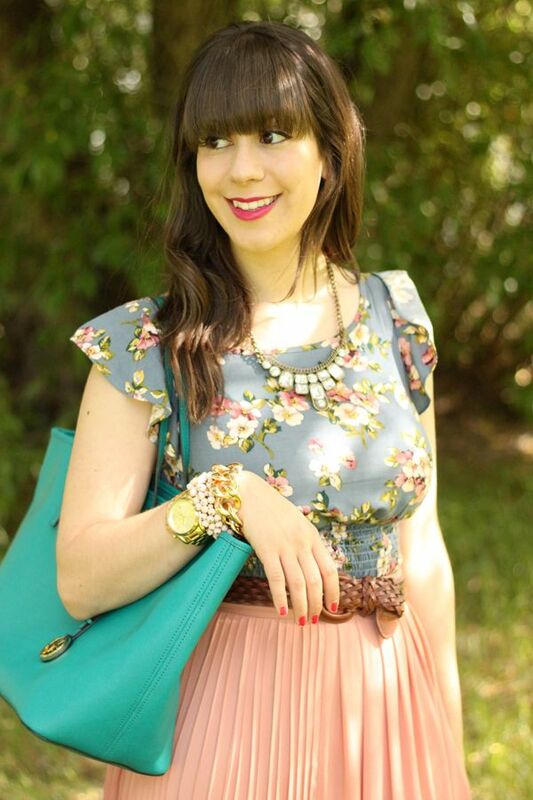 Adore how you used your dress as a top! And I love the bag! 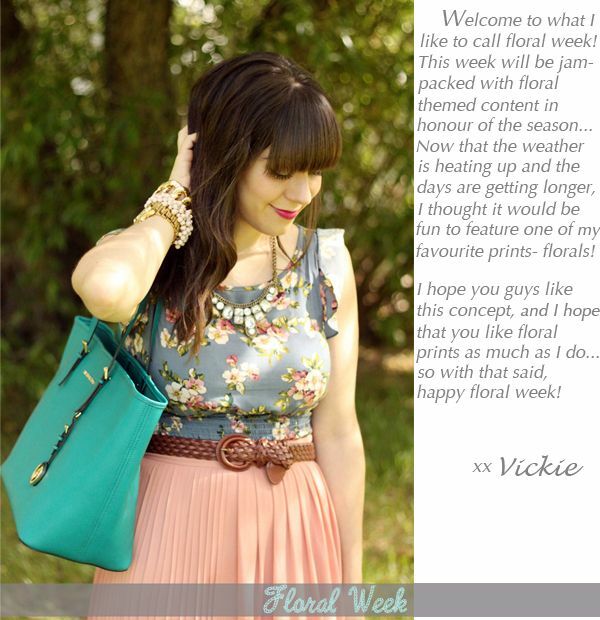 And the floral week, obvi! 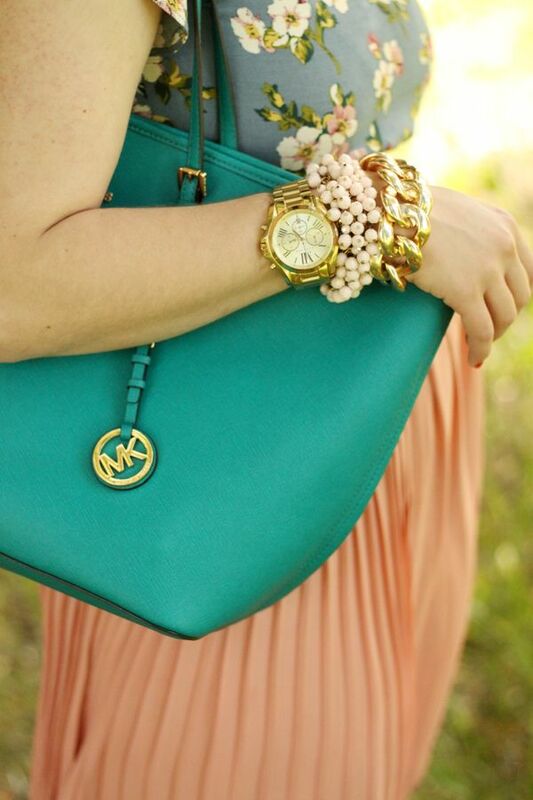 I just love the colour of your tote - so pretty! 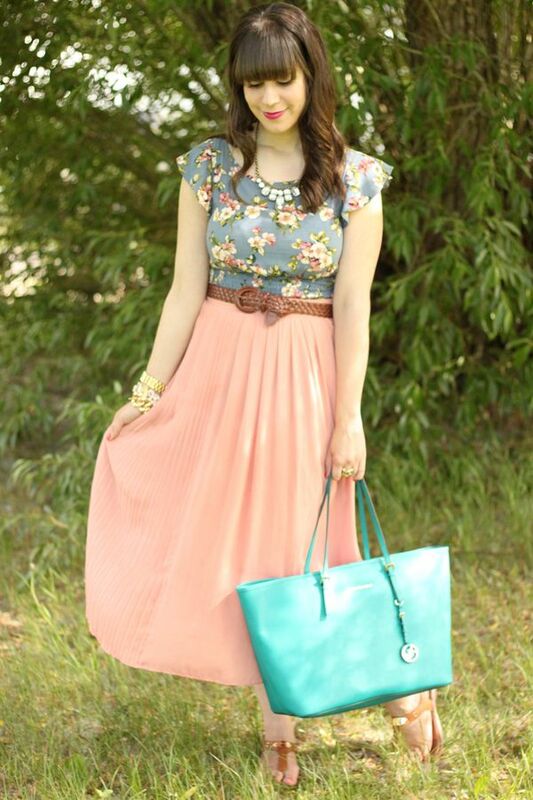 What a lovely feminine outfit - the vivid color of your bag adds such a nice touch!